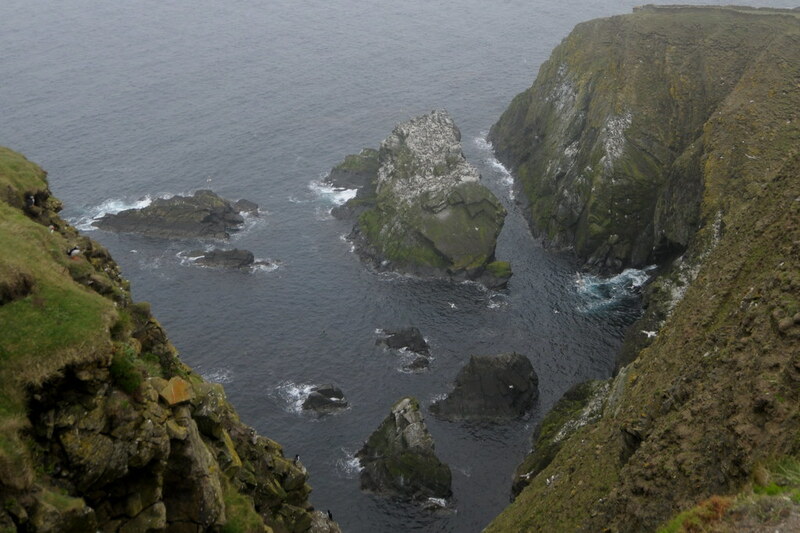 The last of my Scotland posts comes to you from Sumburgh. It's not a secret to anyone who knows me that I like birds. In fact I love birds, always have done. 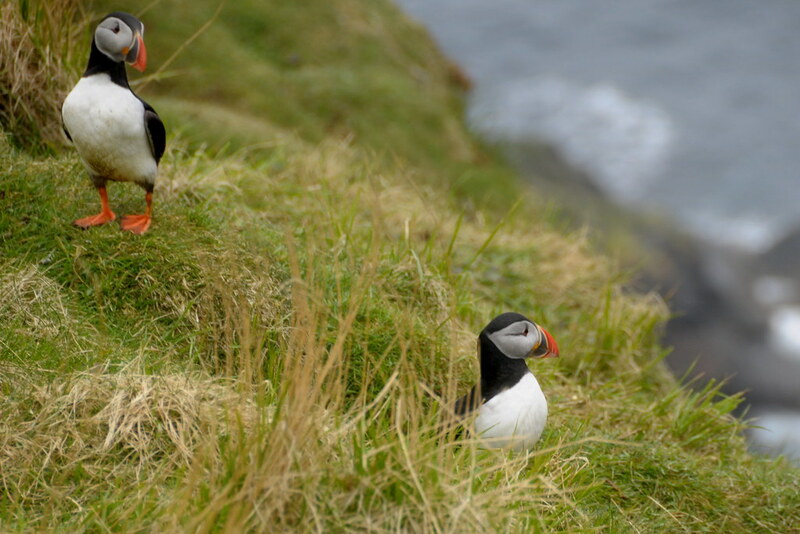 Puffins are a special case for me. Ever since I was six years old, I saw a picture of one in a book and kept it for years. Every time we visited a zoo, aviary, or if I came a cross a book, I would seek them. I even bought a tacky Swarovski model of a pair of puffins - which I probably like a little too much. 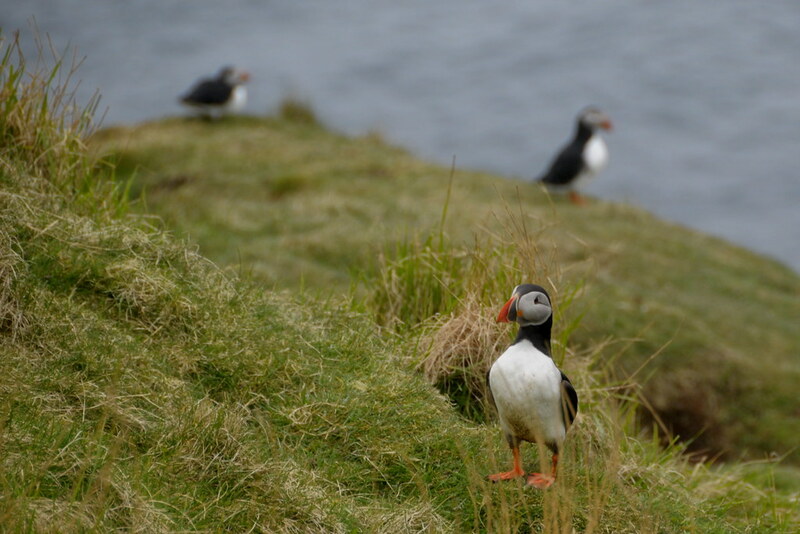 When I did some reading about the Shetlands, I discovered the clear association with Puffins. 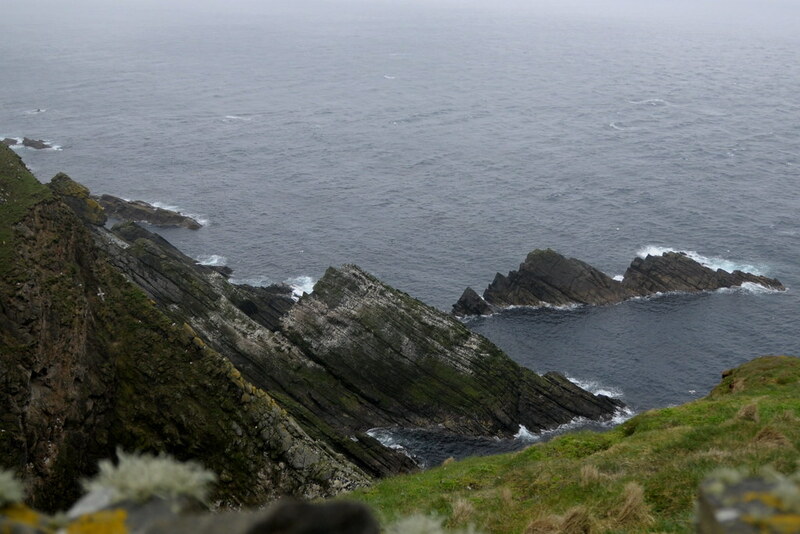 It was therefore one of my first non-work-related questions to our host at the terminal, and he recommended a visit to Sumburgh Head, specifically near the old lighthouse. It sounded fantastic, and it was. 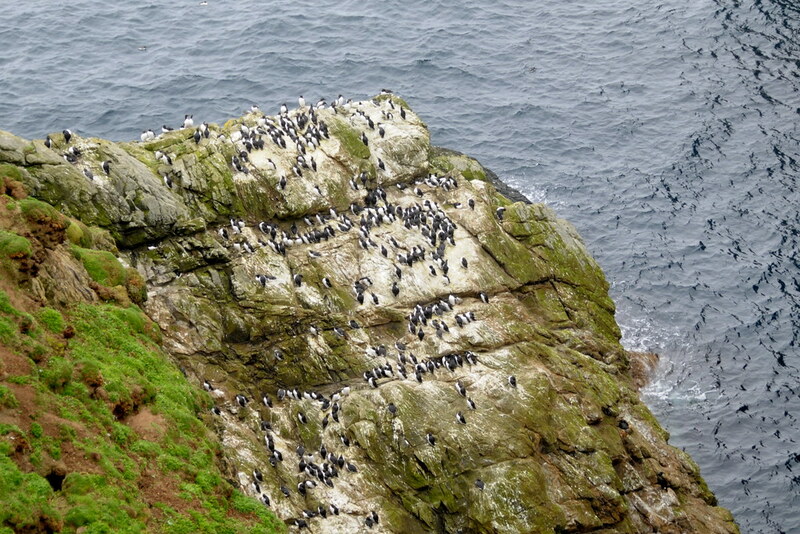 It was the perfect place to view these - and other - seabirds. I had an hour to spend there; but it didn't stop raining for one minute. The shots are not the best, but I include them to show you the potential this beautiful place has, on a perhaps warmer dry day. The photo above may help you scale the place, with my car visible on the left. The location is maintained by the wonderful RSPB. 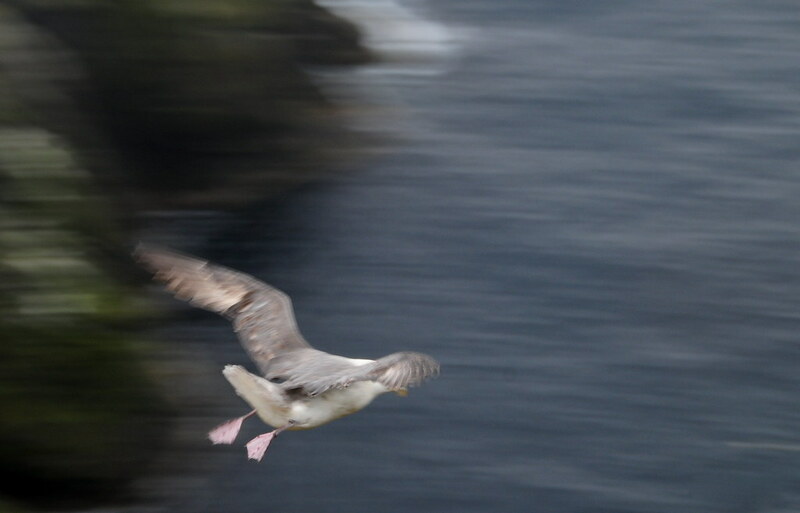 Click here for more information about Sumburgh on their website.With a good lens and reasonable weather, this place would be amazing for capturing some truly wild shots of the many birds that call this place home. My chin dropped for your pictures!!! Cute little birdies! So cute... Indeed this place (especially the cliff) does look like the chilly cold New Foundland, PEI or Nova Scotia (East coast of Canada). God’s hand is the greatest photographer. Thank you! Amazing shots!! I always thought the Puffins weren't real for the longest time, just birds of a book company, until I saw them in real life in the London Zoo! They are amazing creatures! :) the one about the book company thing holds true in my case too! 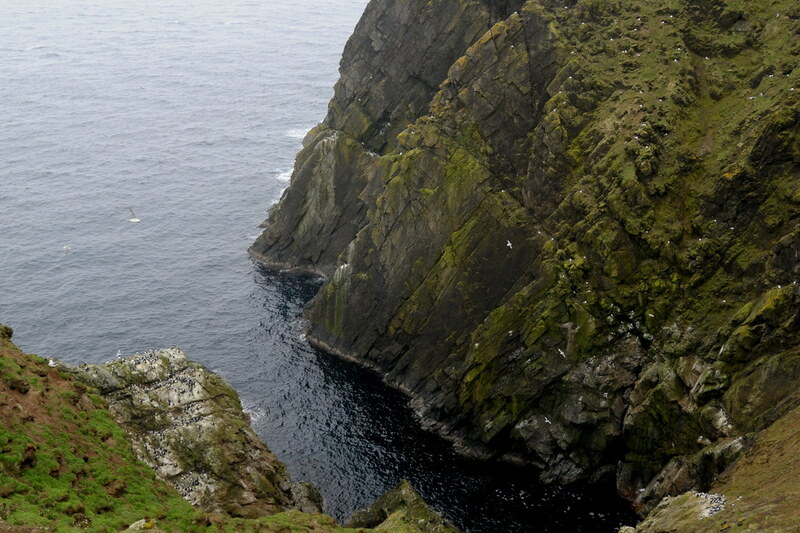 yes, the cliffs look and feel so real...could almost feel the cold draft, and catch ourselves give a slight shiver! Awesome pictures! I've always found puffins cute and sometimes goofy looking on account of their large beak. Was it dangerous climbing near the cliffs to get a good shot? I second Marzouq about them looking unreal! Beautiful pictures!